Howard Erichson is one of the nation's leading experts on the procedure and ethics of complex litigation. Professor Erichson teaches Civil Procedure, Complex Litigation, Professional Responsibility, and Torts. He has published widely on such topics as class actions, mass tort litigation, aggregate settlements, and coordination among lawyers. He is the past chair of the Civil Procedure Section of the Association of American Law Schools and was an Advisor to the American Law Institute’s Principles of the Law of Aggregate Litigation. He is the author of the book Inside Civil Procedure and co-author of Complex Litigation. 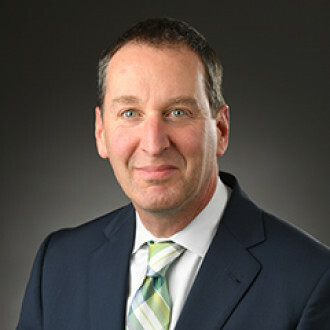 His articles have appeared in the Cornell Law Review, Michigan Law Review, University of Pennsylvania Law Review, and many other leading publications. Professor Erichson graduated from Harvard University and from New York University School of Law, where he was editor-in-chief of the Law Review. After law school, he clerked for the New Jersey Supreme Court and for the U.S. Court of Appeals for the Second Circuit, and he practiced as a litigator with Cleary Gottlieb Steen and Hamilton in New York City. In 1995, he joined the faculty of Seton Hall Law School, where he was elected Professor of the Year and was named the John J. Gibbons Professor of Law. He has been a Visiting Professor at Columbia Law School and a Visiting Scholar at NYU Law School. He joined the Fordham Law School faculty as Professor of Law in 2008, and was elected Teacher of the Year in 2012.